Complete list of USB drivers for Android last updated on 12-Feb-2016. USB Drivers play a vital role when we wish to connect our phone to computer. You need to install USB Driver first for your mobile device to get connect and interact with your PC and the Android Smartphone and Tablet devices are not exception. We do various task by connecting our phone to PC such as- transferring data between computer and phone, syncing mobile to PC, rooting android phone, installing custom recovery like CWM Recover or TWRP Recovery, updating official firmware or flashing custom firmware. We need to use some tools like Odin, SuperOneClick etc. So, without installing the proper USB driver for your phone, you can’t connect it with your PC and do all these important task. In this article, you’ll find USB Drivers for Android Devices for almost all Android Smartphone and tablets manufacturers such as- Samsung, Motorola, Sony, LG, HTC, Micromax, Acer, Dell, Lenovo, Asus, ZTE and many more. Although all the android mobile manufacturers provide USB drivers for their device along with the device model but you can also download drivers from their support page or anywhere else online. One more notable thing is, for most branded device windows install the USB driver automatically but if it's not done, you have to do it manually. Here we have listed USB drivers for android devices for almost all manufacturers. Note that, single USB driver from a manufacturer can be used for all the models of that manufacturer, so you do not need to download separate USB driver for all the models of the same manufacturer. Download USB driver for your android phone from the below list. Note: All the USB drivers here listed are only for the Windows PC. If you are looking Android USB Drivers for Mac or Linux, then we recommend you to visit respective manufacturer website and download from their support page. So, find USB driver for your android Smartphone or tablet from the above list. 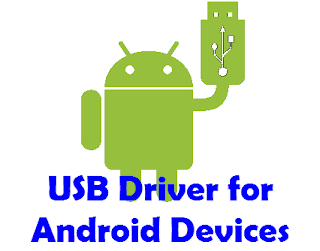 We have covered as much Android USB Drivers from various manufacturer. Hope you find USB driver for your android phone. If your android phone manufacturer is not in the above list, then contact with us with your mobile manufacturer name, model name and code number using the comment form below, we’ll help you to get USB driver for your mobile.